Desirable MASTERS HILL in Bernardo Heights Large 3 bedroom with extra builders option den/bedroom upstairs. Bright open floor plan, high ceilings & large windows! Spacious master retreat on main level! Remodeled Kitchen w/stainless appliances. Remodeled Baths. Tile floors throughout downstairs. New sliders to backyard/patio for entertaining with new stamped concrete patio. 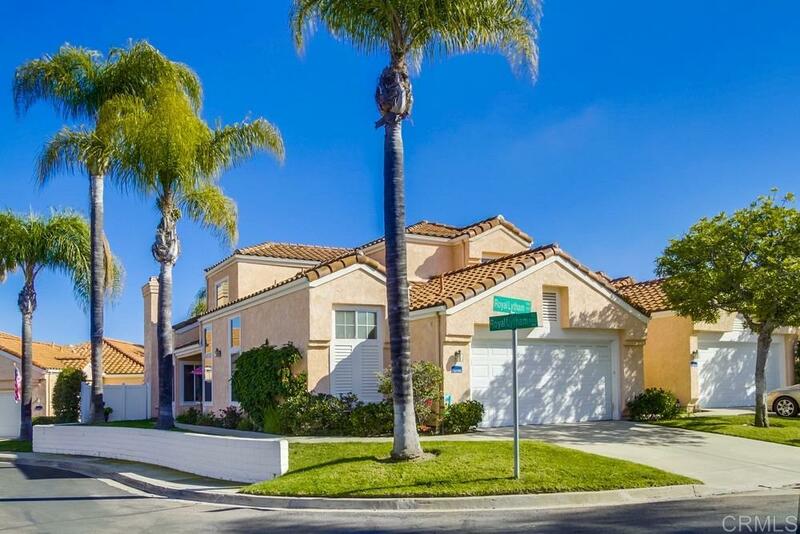 HOA dues include Bernardo Heights Community Center Membership, pools, spas, tennis,gym, cable TV, Common area maint,exterior Building., The seller finished the garage attic for storage with pull down staircase. The entire subdivision is currently being painted and all 3 pools have been remodeled. Square footage in Tax roles in incorrect. See attachments for floor plan and professional appraisers measurements. Buyer to verify sq ft before COE. HOA dues include roof maint, termite, trash pickup. Membership to Bernardo Heights Community Center with multiple tennis courts, fitness center and pools. Also a wading pool and jacuzzi at facility.